Most of us know the choices we make in life say a lot about who we are. The friends and romantic interests we choose to surround ourselves with can say a lot about the kind of people we are. Is it possible our food choices, pizza toppings in particular, could also provide insight into who we are and who we should love? According to a new study, the answer might be “yes”. The study conducted by Dr. Alan Hirsch at The Smell & Taste Treatment and Research Foundation in Chicago surveyed 500 British adults living in or visiting the U.S. The participants, aged 18 to 65, completed several standardized psychiatric evaluations to determine different personality aspects. The participants, as well as their spouses, also provided information about pizza and topping preferences. The results of the personality evaluations were then cross-referenced with food preference data, revealing some interesting correlations. Researchers said that taste preferences develop at the same time as our personality. This is why food preferences are representative of our inner personality. 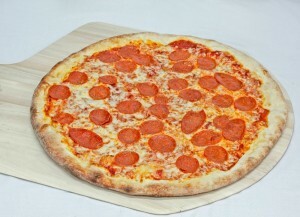 The Main St. Our classic mozzarella and pepperoni pizza is preferred by extroverts who have a tendency to get bored easily. The study found that pepperoni pizza fans are romantically compatible with those who love our Newport pizza. The Newport. 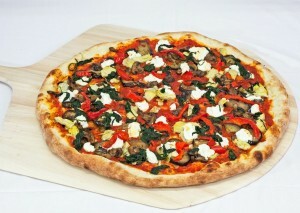 Our version of a veggie pizza includes roasted artichokes, peppers, eggplant, spinach, mushrooms and a garlic infused-olive oil. Preferred by those who are flirtatious, self-interested, sometimes naive and very charming. Newport Pizza-lovers will find they are most romantically compatible with those who love our Main St. pizza. The White Chapel. 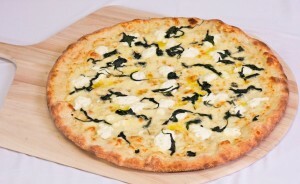 This is our version of a white pizza with a blend of mozzarella and ricotta cheeses topped with sautéed spinach and roasted garlic olive oil. Preferred by those who are good with finances, cautious, cynical and who love to argue. If your favorite pizza is our White Chapel pizza, then study results suggest you will be romantically compatible with those who love our Fremont Pizza. The Fremont. 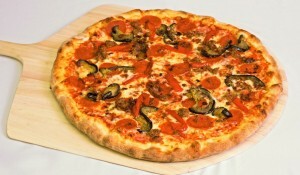 Our version of meat pizza with mozzarella cheese, Italian sausage, bacon, pepperoni, roasted peppers and eggplant. Preferred by supportive people who enjoy spending time at home. They also tend to be followers who shy away from leadership roles. Researchers found these types are best suited with those who love our White Chapel pizza. Whatever your personality type, if you love pizza, then you’ll love PopUp!. Grab a slice of the best Fremont pizza in Las Vegas and see what your choice says about you!